Earthy elements help keep a room grounded and mature. 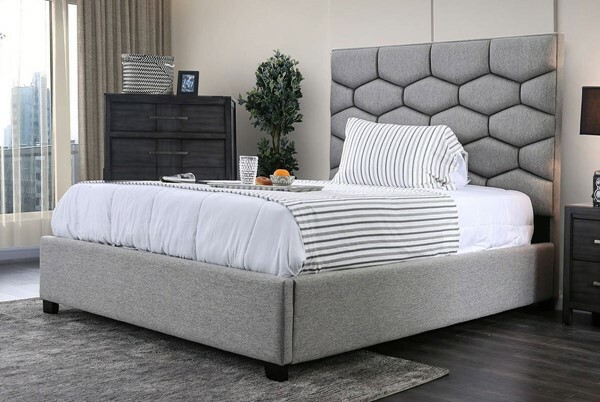 This deep gray bed gives you a sophisticated hue and a hexagonal tufting that echo a rock face. It's a soothing combination that feels just right inside a bed room. The platform style means no foundation required so you're a little closer to the ground and can make full use of the headboard's padding.